What is it about London's Groucho Club that has celebrities returning week-in-week-out? Harry Styles, the youngest member of One Direction, turns 19-years-old today (January 31, 2013) and chose London's hippest venue as the place to party with ex-girlfriends Caroline Flack and Cara Devalinge and pals James Corden and Nick Grimshaw on Thursday evening. The boys had started the evening at a Mexican restaurant, but all roads led to London's most infamous hangout - an unassuming members' club in the heart of London's Soho district. Caroline Flack turned up wearing a red fur jacket and some futuristic heels, while Cara opted for leather trousers and a striped jacket following an appearance at Burberry's bash at their flagship store in Regent Street. Harry and Caroline have been close since they dated for three-months when he was 17, with the Xtra Factor presenter describing him as "brilliant and so much fun." On Thursday, Styles opted for a weird looking shiny blazer, while Radio 1 breakfast DJ Grimshaw went for a fitted black jacket. 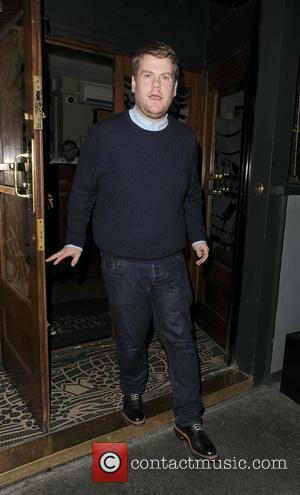 In all fairness, Corden was probably the best dressed of the guys, in jeans, a shirt and smart sweater. 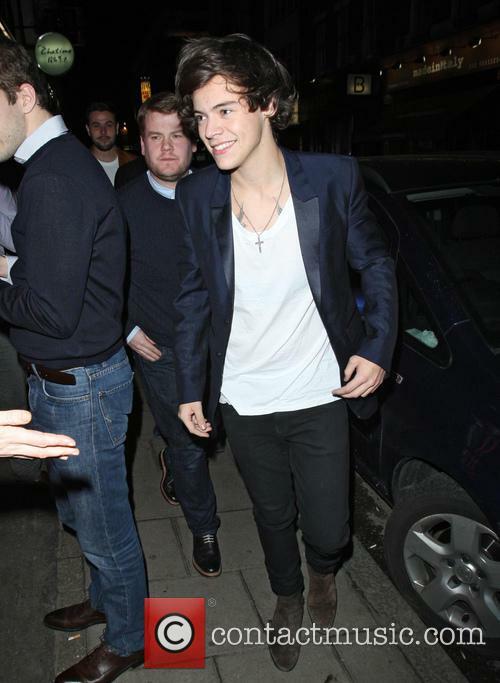 So why does Styles keep returning to The Groucho club? The well-known members club, located on Dean Street, draws most of its clientele from the publishing, media, entertainment and arts industries. Widely considered to be the original and first contemporary private club of its kind, The Groucho has three bars, two restaurants, 20 bedrooms, a billiards room and four event rooms available for hire. Though Styles, Grimshaw and the clan are the 'members of the minute,' you wouldn't have to visit much to see the likes of Stephen Fry, Noel Gallagher and Sienna Miller hanging around. Known as London's most star-studded drinking hole, celebrities have a plethora of fancily made cocktails to choose from. Tommy's Margarita, made from Olmeca Altos Tequila, agave syrup, lime juice will set you back £9.75, while a Rose Petal Bellini, made with Perrier-Jouët NV Champagne, Lanique rose petal Vodka, peach juice costs £12.50. How about treating yourself to a bottle of the classic Chateau Mouton Rothschild? That'll be £800. They even had fun events, like Alex Zane's weekly film quiz (£15 entry), or Caitlin Moran's general knowledge quiz. So, fancy signing up as a member? Well, you CAN'T. The Groucho Club requires a proposer and seconder who are current members. Even if you secure those two all-important signatures, the Membership Committee meets every month to look over the applications and there's no guarantee you'll get in. 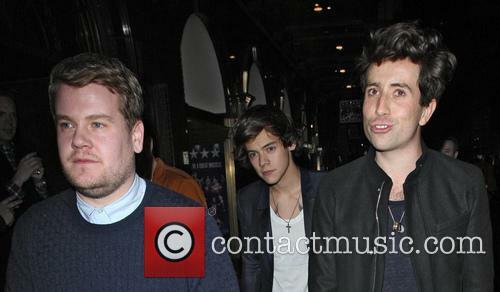 Basically, you've got to be one of Nick Grimshaw's mates. Oh Oh! Cara Delevingne Becomes The Second Of Harry's Ex-Girlfriends To Turn Up At The Groucho Club!